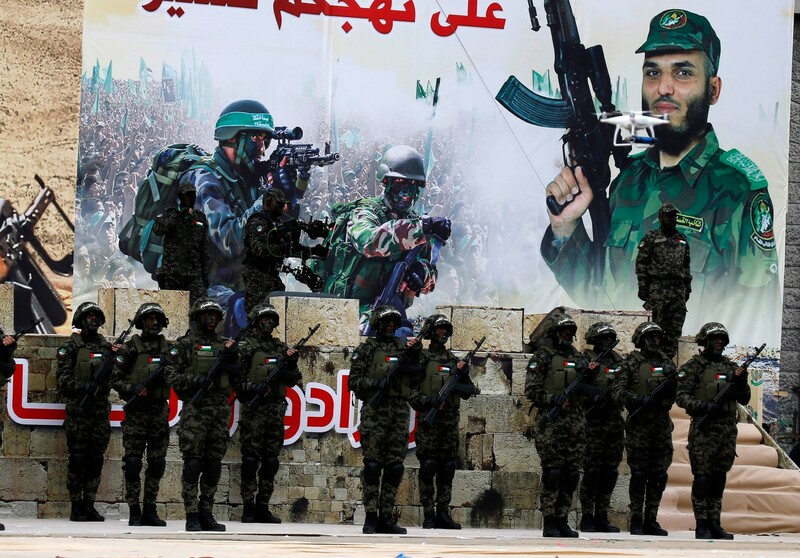 The Palestinian military-political group Hamas, which the U.S. government deems a terrorist organization, may be using the Coinbase cryptocurrency exchange for fundraising. Earlier this week, the Israeli blockchain analytics firm Whitestream identified several bitcoin wallet addresses referred to on official Hamas digital media channels in public requests for donations. One such appeal for bitcoin donations to support “the resistance” was issued on January 31, via a Telegram channel run by Abu Obeida, a spokesman for Hamas’ military wing. As the Israeli newspaper Globes reported, those wallets included a Coinbase account. Although Coinbase declined to comment on the address in question, Whitestream told CoinDesk that the account continued to receive transactions even 48 hours after it was identified and reported in the media. “Based on shared inputs, we can tell that Hamas blockchain transactions were signed by addresses that are operating on Coinbase company wallets,” Itsik Levy, the firm’s founder and CEO, told CoinDesk. Adding this account’s sum to two other bitcoin addresses Whitestream also identified as recipients of the Hamas fundraising campaign, the Islamic organization appears to have garnered less than $4,000 in bitcoin. Even if this is a case of terrorist financing solicited by the Hamas military wing, the Izz ad-Din al-Qassam Brigades, Coinbase is hardly the sole company involved with this week’s activity. Whitestream also reportedly identified this Hamas-operated Coinbase account potentially sending bitcoin to a Binance account and a CoinPayments account, the latter of which is a wallet provider legally incorporated in the Cayman Islands. Binance and CoinPayments did not immediately reply to requests for comment on these transactions. Several studies – including a 2018 report by the Foundation for Defense of Democracies’ Center on Sanctions and Illicit Finance – have asserted cryptocurrency usage among jihadists is still an extremely “fringe” activity. Furthermore, compared to a CoinDesk report from 2018, even the monthly volume of a single bitcoin dealer serving dozens of Gaza-based retail investors would dwarf the sum collected so far in these Hamas-affiliated accounts. The Hamas spokesperson has not posted in the Telegram group since the last request for bitcoin donations on February 2, CoinDesk found. On that same day, this bitcoin address was tweeted by the Brigades’ global outreach account. This may be inspired by the way the Islamic State’s Gaza wing, a fierce rival of Hamas, reportedly raised $8,000 worth of bitcoin donations by March 2018. However, there appears to be confusion among these supporters about the transparent nature of blockchain data.